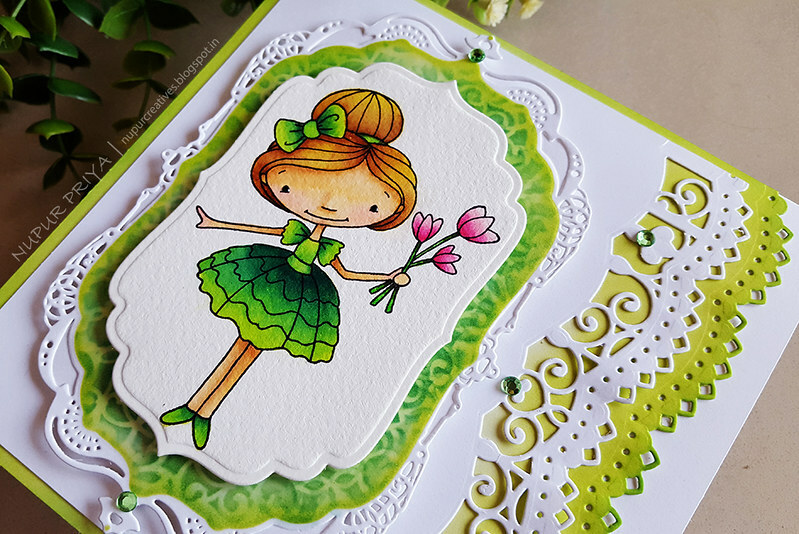 Today I am sharing another card made with the latest Sugarspun Collection. Read till the end for full supply list and instructions for this card. Die cut 2 pieces of white cardstock using the corner dies from Elegant Pocket Accents Die. 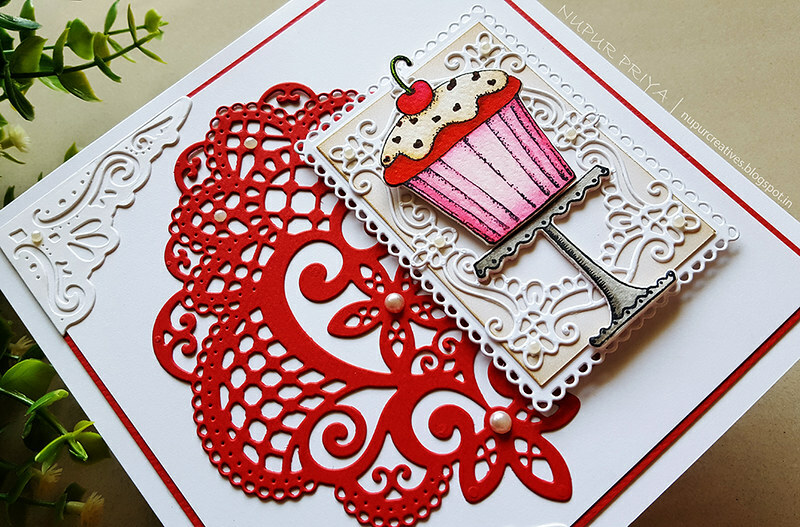 Die cut a piece of red cardstock using the decorative die from Daydreams Bridge Die. Cut a piece of 5 1/2" x 5 1/2" white cardstock and adhere it to a slightly larger piece of red cardstock. Adhere this piece on a 6" x 6" white cardbase. Adhere the die cuts as shown. Die cut 2 pieces of white cardstock using the dies from Eyelet Rectangle & Basics Die and Eyelet Lace Frames Die. Cue a piece of white cardstock so that it fits the inside of the eyelet rectangle piece and ink it lightly with Frayed Burlap Distress ink. Adhere it on the eyelet piece and adhere the 2nd die cut on this piece. Adhere the final piece on the card front as shown using Darice Adhesive Foam Strips. Stamp the cupcake image from Sprinkled Confetti Cupcakes Cling Stamp Set and the cake stand from Sweet Shoppe Treats Cling Stamp Set on a piece of watercolor cardstock using Jet Black Archival Ink. 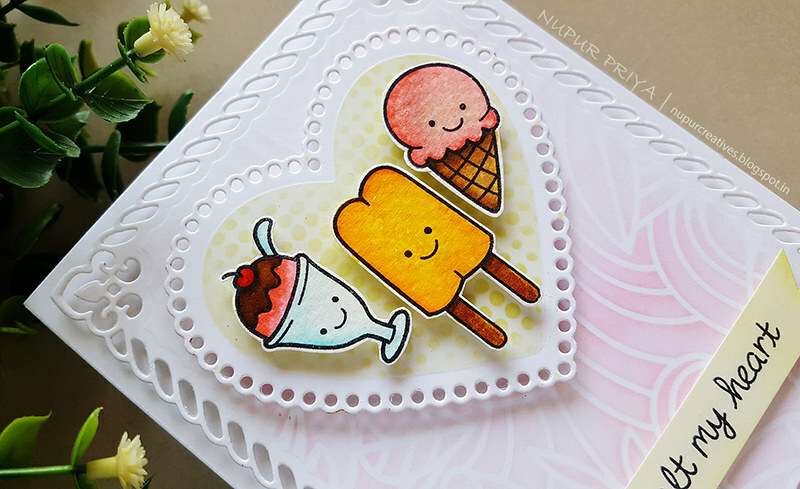 Color the images using Zig Clean Color Real Brush Markers and cut them using matching dies from Sprinkled Confetti Cupcakes Die and Sweet Shoppe Treats Die. Adhere them on the card as shown using Darice Adhesive Foam Strips. Add some pearls to the die cuts for finishing touch. I am back with another inspiration for Scrapy Land Challenges. For those who don't know Scrapy Land carries over 55 brands of dies, so chances are you have a few of the brands in your stash! You can see all the brands carried under the Products category. And to join in the challenge all you have to do is create anything be it mixed media, card, altered art, basically anything and link it back to Scrapy Land Challenges. You just have to make sure that you have used a die cut from any of the brands that Scrapy Land sells. There will be 2 winners for every challenge and each winner will receive a generous $10 gift certificate to Scrapy Land. So what are you waiting for start creating and linking back to the Scrapy Land Challenges. I have used Spellbinders A2 Scalloped Borders 3, Spellbinders Gold Labels Four and Spellbinders Labels Four to create this card. You can find similar dies here and here. 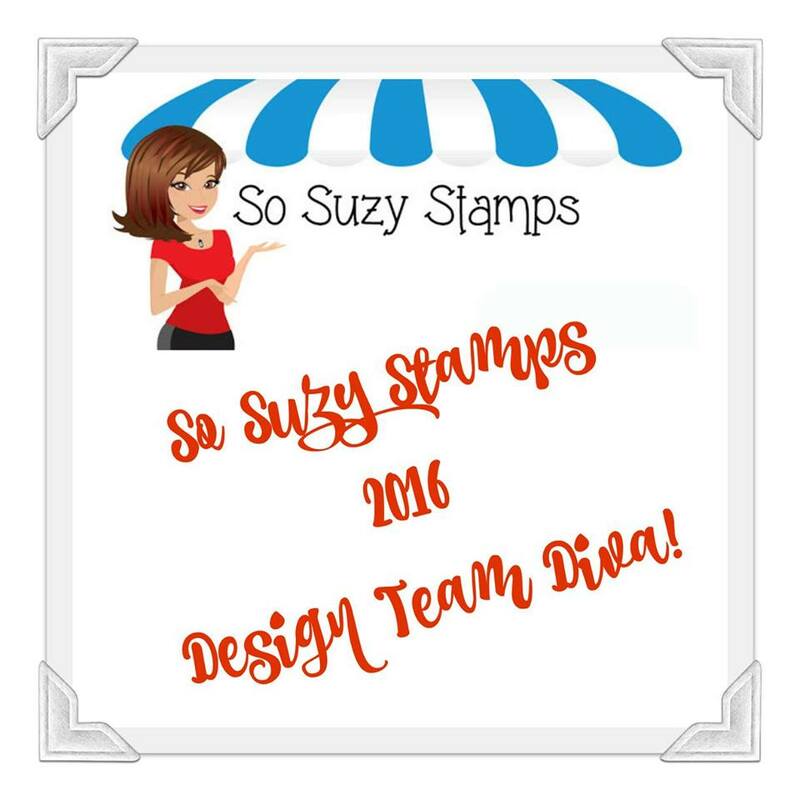 Hope you like it... visit Scrapy Land Challenges to see what the other design team members have created and get your creative juices flowing... Hope to see you there! Gansai Tambi Watercolors, Paint Brush and Canson watercolor cardstock. 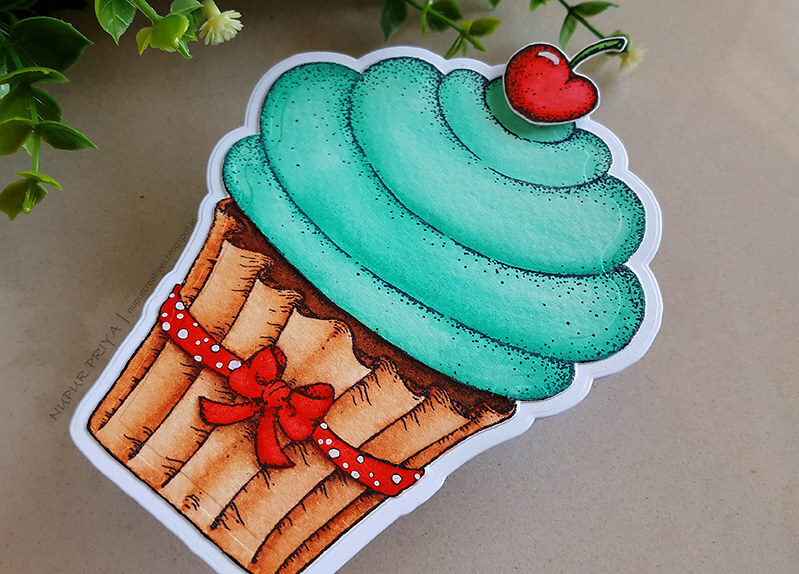 Take a piece of 4 1/4" x 5 1/2" top folding white cardbase and use the largest cupcake die from Sugarspun Cupcake Die to cut it so that the top edge of the die is above the fold line. This will create a hinge for our shaped card. Stamp the cupcake and cherry images from Sugarspun Cupcake Cling Stamp Set on a piece of watercolor cardstock using Jet Black Archival Ink and die cut them using matching dies from Sugarspun Cupcake Die. Color them using Gansai Tambi Watercolors. 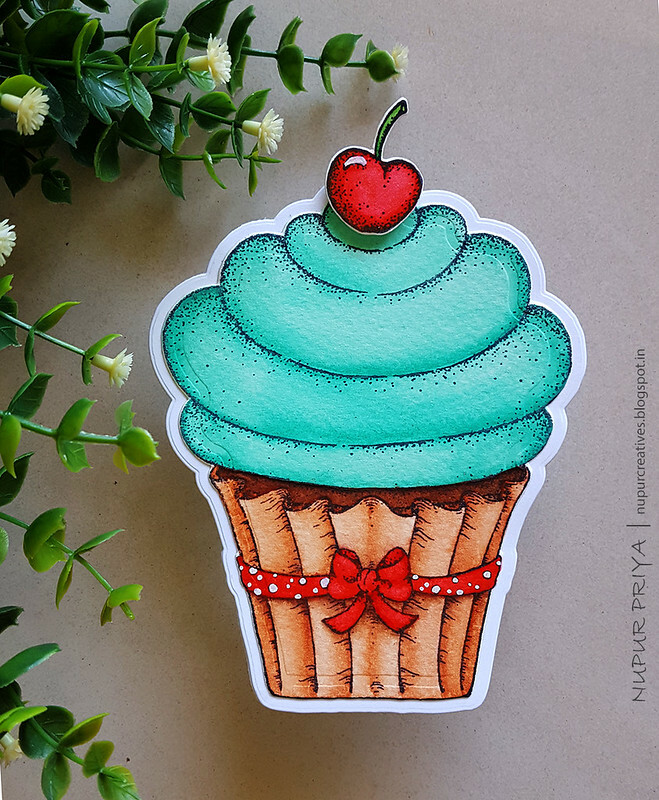 Adhere this colored cupcake image on the shaped card base we created in the last step. 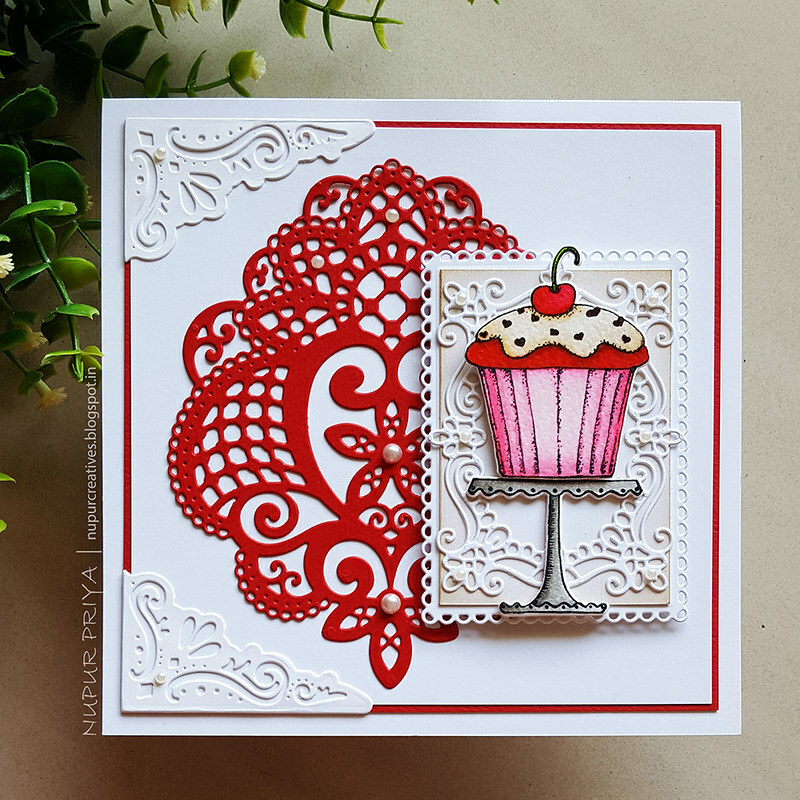 Adhere the cherry image on top of the cupcake using 3D Foam Circles so that it hides the fold line of the card as shown. Lastly Stamp the sentiment from Just For You Sentiments Cling Stamp Set on the inside of the card using Coffee Archival Ink. Then I die cut white cardstock using Spellbinders A2 Valiant Honor and Spellbinders Lace Hearts dies. You can find similar dies here and here. I inked the Valiant Honor die cut using Mudra Swirly Leaf Stencil and Worn Lipstick Distress Ink. 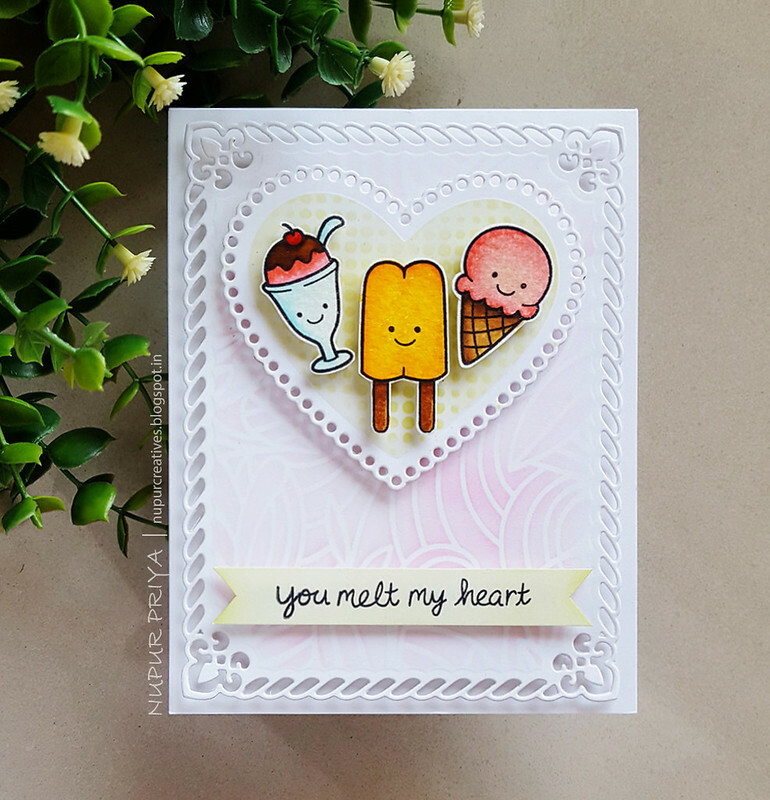 The Lace Hearts die cut was inked using Tim Holtz Dot Fade Stencil and Twisted Citron Distress Ink. Then I layered adhered all the die cuts and images as shown using foam tape. Linking to LAWN FAWNATICS CHALLENGE 50 – FUN WITH FOOD! 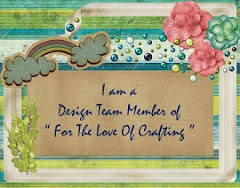 Canson watercolor cardstock,Crafter's Companion Regency Swirls 3D Embossing Folder and paint brush. 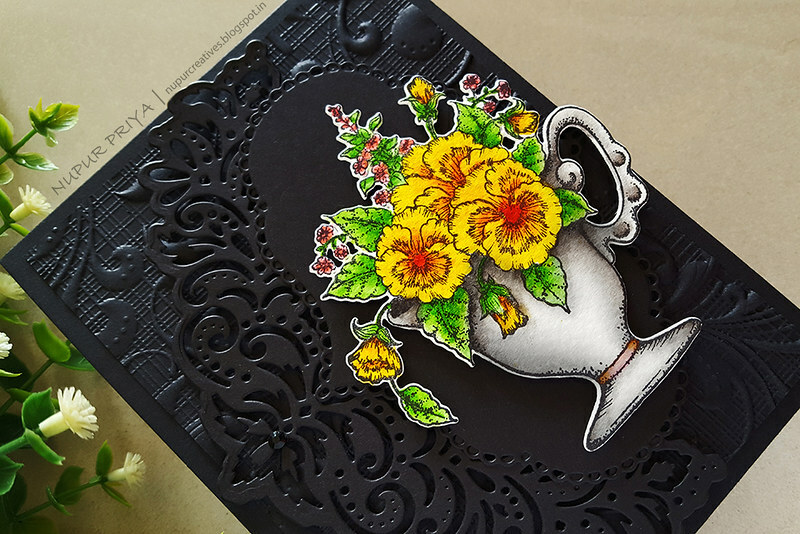 Take a 4 1/4" x 5 3/4" piece of black cardstock and emboss it using Crafter's Companion Regency Swirls 3D Embossing Folder. Adhere it to a 4 1/2" x 6" black top folding cardbase. 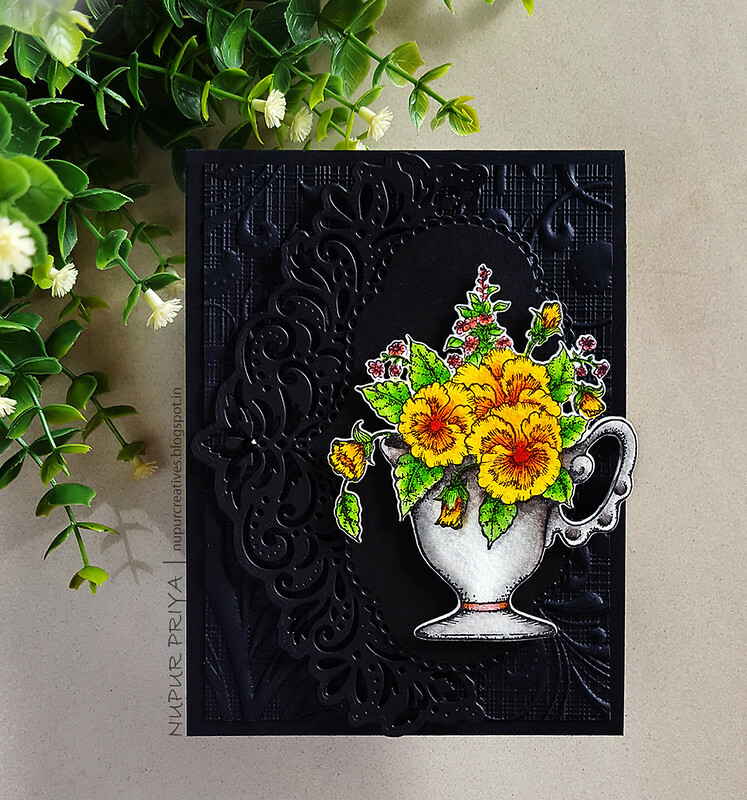 Take 2 pieces of black cardstock and die cut 1 using the dies from Elegant Pocket Accents Die and another one using the die from Album Tags and Accents Die. Position them as shown and adhere them together. Adhere this piece to the card base using Darice Adhesive Foam Strips. Stamp the image from Burst of Spring Cling Stamp Set on a piece of watercolor cardstock using Jet Black Archival Ink and color it using Zig Clean Color Real Brush Markers and a paint brush. 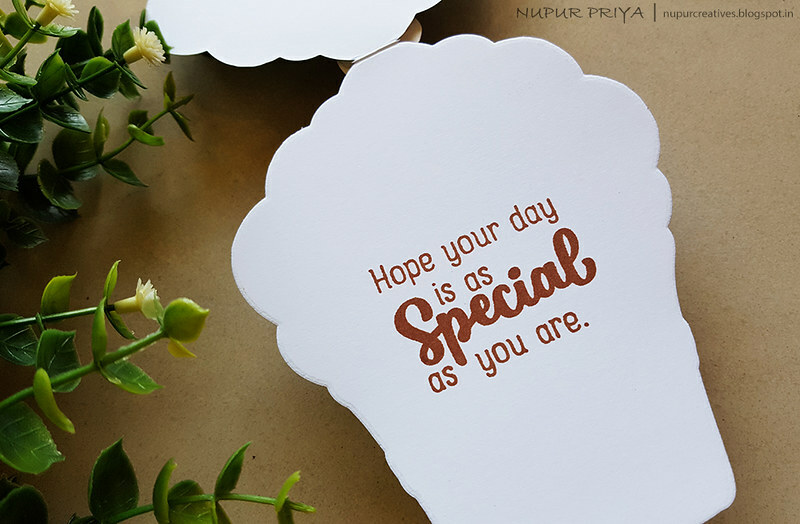 Die cut the image using the matching die from Burst of Spring Die . Adhere it to the card base as shown using Darice Adhesive Foam Strips. Add black rhinestone to the die cut for finishing touch. 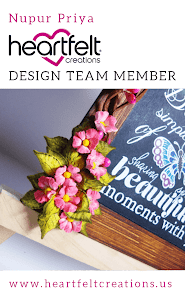 Today Heartfelt Creations is releasing something that every crafter needs who loves to create beautiful handmade flowers. Have you guessed it yet??? 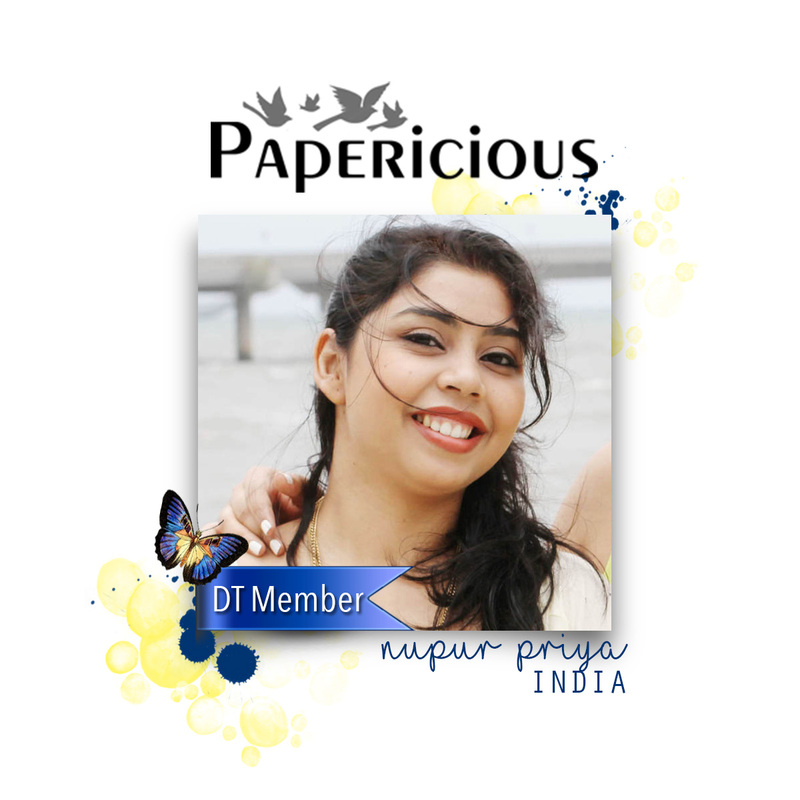 I am so happy with this release....The design team members got to try their hands on this paper around 2 months back and I have been making flowers with it ever since. In fact the flowers in my previous posts are made with this paper only. 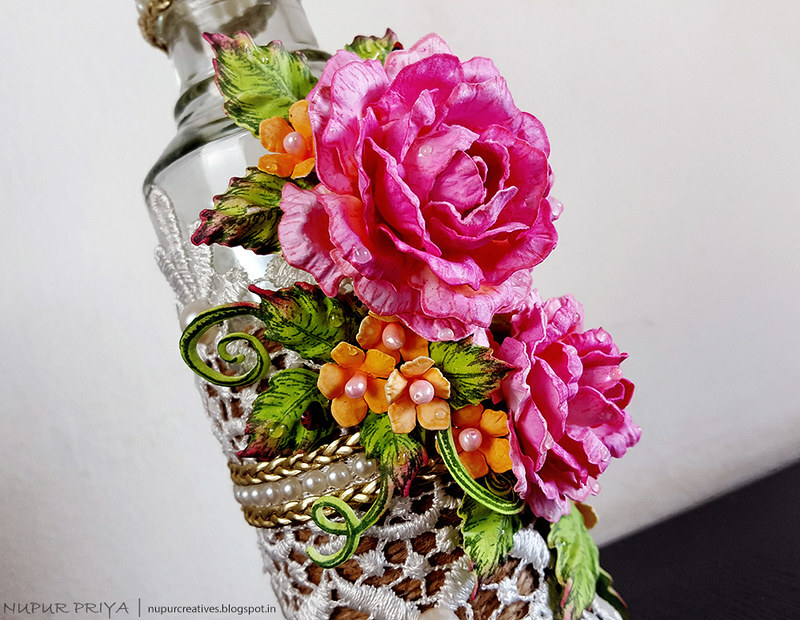 Other Products: Morning Dew Nuvo Crystal Drops, Lace, gold braid twine, jute twine, glass bottle pearls and hot glue gun. Instructions:Wrap and glue the jute twine on the bottle to cover 2 1/2" of the center portion. Now glue 2 pieces of white lace one facing down and one facing up on the twine so that it covers the bottle till just below the neck as shown. Glue the gold braid twine and a line of pearl where both the pieces of lace meet at the center. Glue alternating gold braid twine and pearl line as shown on the neck of the bottle. Stamp the largest set of rose petals from Classic Rose Cling Stamp Set using Rose Madder Archival Ink on Deluxe Flower Shaping Paper and color them using Pink Peony and Vibrant Fuchsia Archival Inks. Die cut them using matching dies from Classic Rose Die. 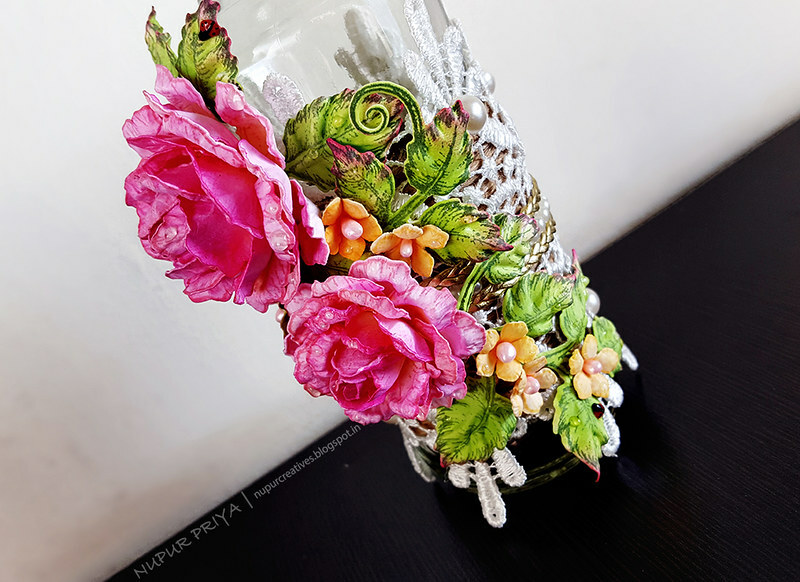 Shape them using 3D Rose Shaping Mold and Deluxe Flower Shaping Kit to form the roses. Stamp the smallest set of flowers from Floral Fashionista Cling Stamp Set using Sunflower Archival Ink on Deluxe Flower Shaping Paper. Color it using Tiger Lily and Sunflower Archival Ink. 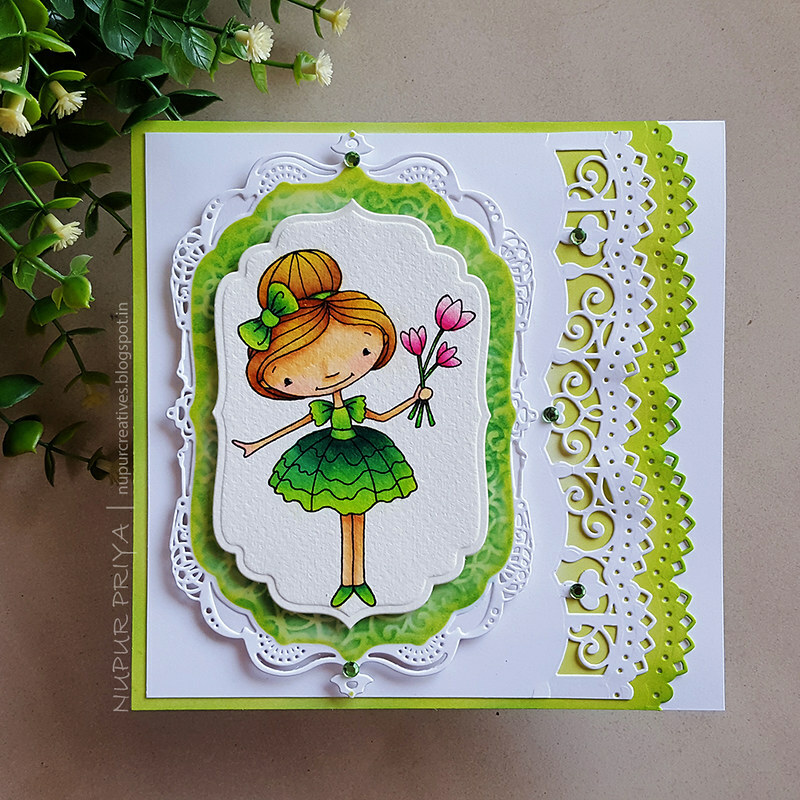 Die cut the colored flowers using the matching die from Floral Fashionista Die and shape using Deluxe Flower Shaping Kit. Add a baby pink pollen from Medium Pastel Pearl Stamens to the flower centers. Stamp the leaves from Leafy Accents Cling Stamp Set using Olive Archival Ink on Deluxe Flower Shaping Paper and color them using Vivid Chartreuse Archival Ink. Use Vibrant Fuchsia Archival Ink to color the tips of the leaves. Shape them using 3D Leafy Accents Shaping Mold. 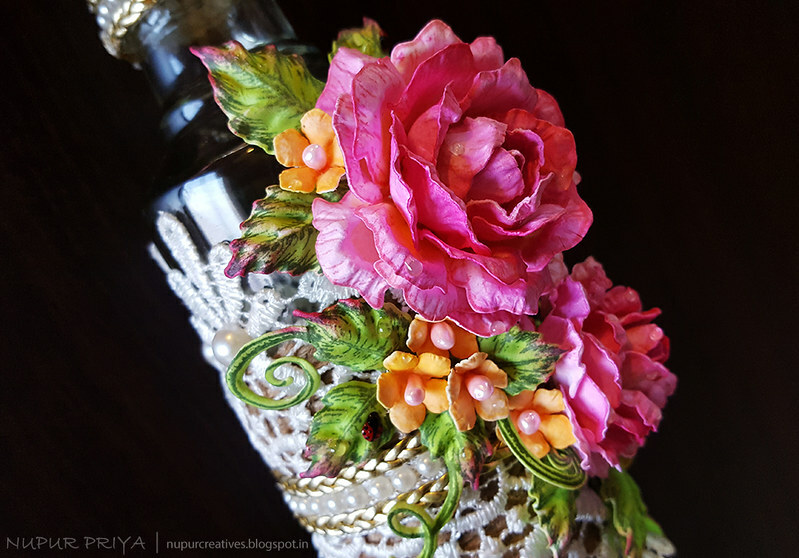 Arrange and adhere all the flowers, roses and leaves as shown on the lace. 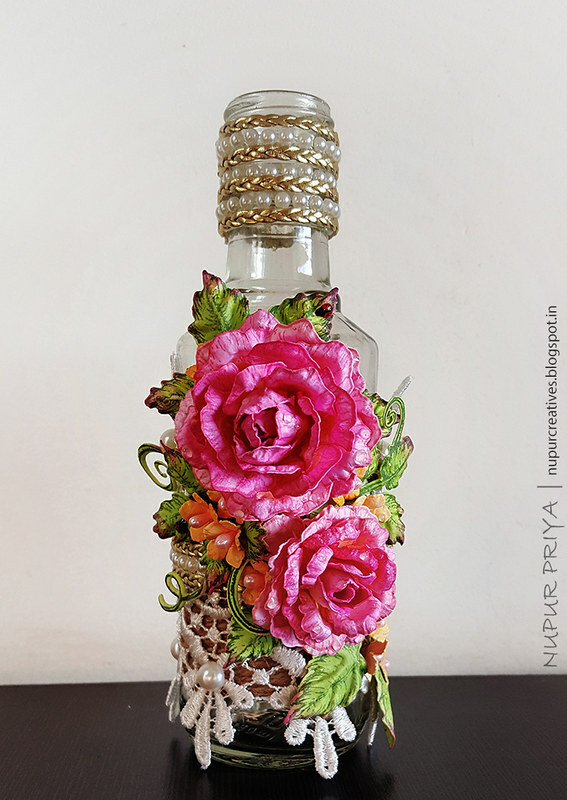 Add few dew drops on the the flower arrangement using Morning Dew Nuvo Crystal Drops. Also add few ladybugs made using Ebony Black and Red Berry Nuvo Crystal Drops. 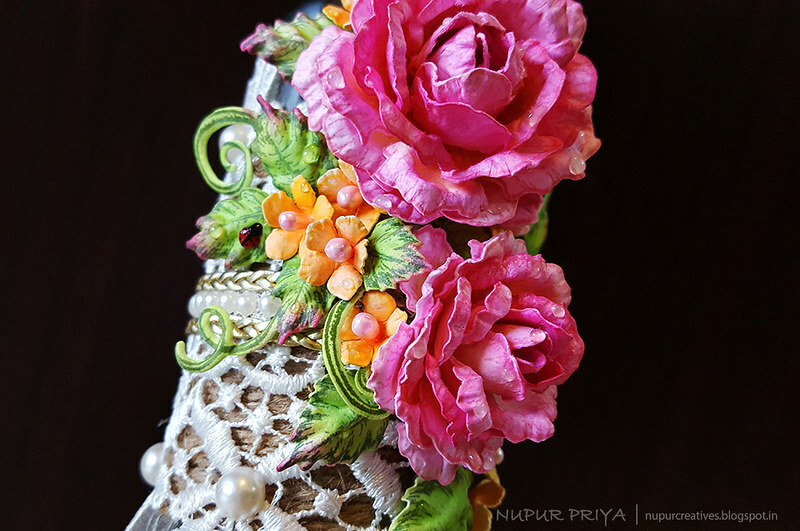 Add few large pearls to the lace to add the final touch. Before you go do check out the Heartfelt Creations website for some amazing offers and discounts. 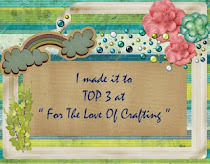 Also the semifinalist list is out and you have time till 3rd April to vote for your favorite crafters so that they can make it to the final design team. Click HERE to check them out.